When you think about it, clothes are the simplest and yet most effective way to bring out new sides to your personality. When you want to look professional, you have a wardrobe for that. When you are relaxing on a Sunday afternoon, you have a wardrobe for that. When you want to show off your curves while enjoying some incredible food at a fancy restaurant, you have a wardrobe for that too. No matter what your personal style is, your clothes are the best way to express your personality. But if you want to take an outfit from average to awesome without spending a fortune, then you need to be looking at accessories. Mix and match, add on and take away - accessories are just what you need. Piercings are a brilliant way to change up your look as there are so many different styles you can choose and plenty of locations up for grabs. Whether you want to keep things simple with a lobe piercing or you’re feeling more adventurous and go for daith piercings, you can add a little hint of glitter to your outfit. You can also shake things up with fake ring piercings. These are like little clips that can go around your nose, cartilage or lip without any lasting impact - just what you need to try something new! Hats are great additions to any outfit from large straw hats in the summer through to fluffy pom beanies in the winter. You might not be looking for a hat for Ascot but the general rules for choosing a hat are the same. Experiment with a few different styles and do think about how you are going to wear your hair. Some hats demand a certain style! Like hats, scarves bring more than a bit of extra warmth to an outfit. This year, scarves are going arty with lots of bright colours and prints appearing all over the place. The silk scarf look is also migrating from a knot at the neck with long flowing skirts, dresses and even capes. Be bold and be beautiful with this look! 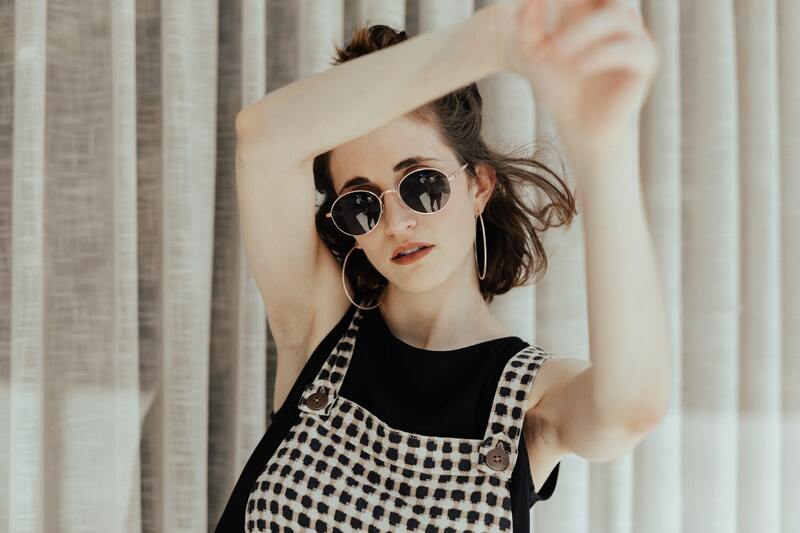 There are some celebs you just can’t imagine without their sunnies (Bono, Anna Wintour, Elton John) - that’s how huge their impact is on an outfit. This is why you shouldn’t just have one pair, a few pairs will lend you the gravitas and style you require on every occasion. This year, lots of shapes and colours are entering the fray so there’s no excuse for wearing the same pair every time you go out! The choice between heels and flats can be a big one. Lily Allen made a bold move back when she emerged wearing ball gowns and trainers and it’s one we can still learn from today. The shoes you choose can mean the difference between a professional, chic look and a couture masterpiece. It’s something to consider!